Find the answers to the most commonly asked questions below. Why would I want an energy-efficient home? Making your home energy efficient will save you a significant amount of money on your heating and cooling electrical bills. When your home is insulated properly and your HVAC equipment is working effectively, your family will be a lot more comfortable all year round. The first step in the process to make your home energy-efficient is to schedule a comprehensive Home Audit. An energy audit will help you understand how much energy your home is using and how much it’s wasting. Using a variety of diagnostic tools, the auditor will identify problem areas that affect the home’s overall comfort, indoor air quality and safety. Then they will prioritize recommended repairs in order—from must-do to nice-do-do—that fit your budget..
What kind of certifications should a Home Auditor hold? Being able to properly assess a home requires a lot of training, knowledge and experience. 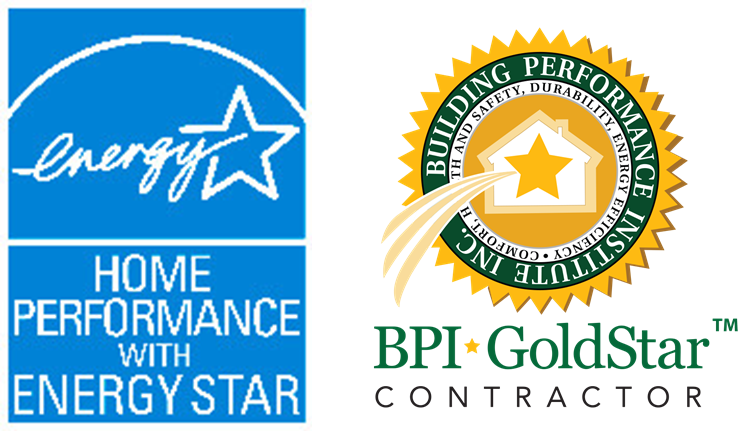 Our licensed professionals are all BPI Certified and hold every certification in this area of expertise. What happens by an Energy Audit? An energy audit will help you understand how much energy your home is using and how much it’s wasting. Using a variety of diagnostic tools, the auditor will identify problem areas that affect the home’s overall comfort, indoor air quality and safety. Then they will prioritize recommended repairs in order—from must-do to nice-do-do—that fit your budget. Will I really see lower energy bills? Time and time again, homeowners are truly seeing the results of investing in proper insulation on their energy bills. The investment you make into making your home energy-efficient will definitely pay off for you. Most homeowners see the savings on their energy bills almost immediately. Will the state really help fund these projects? Living in New York offers many benefits, and included in those is the great NYSERDA program. Through this program, you will receive funding on your home improvement products – up to 50%! The state wants all homes to be properly insulated and will assist you financially to achieve this. We at Energy Evolution Inc know the ins and outs of the funding programs and will do our upmost to ensure that you receive all the financial help you are eligible for. What are some solutions Energy Evolution Inc offers? We’ve been in this industry for over 15 years and have a thorough understanding of what solutions work best for what problems. We want to use the best quality materials without you having to break the bank. We offer all sorts of solutions, starting with cellulose insulation and spray foam insulation. What exactly is Spray Foam? Spray foam insulation is an alternative to traditional building insulation such as fiberglass. A two-component mixture composed of isocyanate and polyol resin comes together at the tip of a gun, and forms an expanding foam that is sprayed onto roof tiles, concrete slabs, into wall cavities, or through holes drilled in into a cavity of a finished wall. Spray Foam is far superior to any other kind of insulation. Is Spray Foam truly safe? If you stay out of your home during and after spray foam installation, and if the spray foam has “cured” properly, then spray polyurethane foam insulation (SPF) is generally considered to be safe. In our 15 years of using it, we’ve never encountered an issue. Can Spray Foam be applied on a wall that is already built? How do you compare Spray Foam vs. Cellulose? Cellulose is a more cost-effective way to insulate a home and will work for most people. Spray Foam is costlier, however it is unmatched in terms of effectiveness. Buildings treated with spray foam insulation typically insulate as much as 50% better than traditional insulation products.